What is my fantasy of the perfect birth experience? Do you want to squat and effortlessly push out your baby in your bedroom? Labor in water? Get an epidural in the hospital parking lot? While no one can predict how your labor will go, thinking about your ideal will help you make decisions now and in labor. It’s important to choose a provider with a similar philosophy to yours. Find out what his or her intervention rates are. Creating a birth plan and discussing it with your doctor or midwife prenatally will help you learn if you’re on the same page. If the gap seems too wide, meet with other providers in your area to try to find a better match. Take an independent childbirth class to find out what your options are. If I went into labor tonight (at term) what would I want to know? This bottom-line question will help you find out what you most need to learn. Do you have questions about comfort measures and contraction rituals? What supplies to have on hand during labor? The best route to the hospital and where to park? 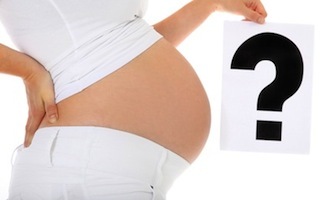 How to know if you’re in labor and how to time contractions? Taking a quality childbirth class, touring your place of birth, and talking with your provider should help you clarify your questions.